The most popular brand of luxury shoes and fashion accessories, Jimmy Choo, launches its first fragrance, simply named Jimmy Choo. Jimmy Choo fragrance, described as ""feminine yet empowering, with a lot of sensuality to it"", was developed in cooperation with Inter Parfums and the famous perfumer from IFF Olivier Polge. The seductive composition is a modern chypre fruity, with green top notes, tiger orchid, sweet toffee caramel and Indonesian patchouli. The packaging and the textured glass bottle is designed by Mellon herself. She was inspired by Murano glass and devoted so much attention to the appearance, so that it would be desirable and appropriate for your nightstand. Mellon is also the face of the campaign shot with photographers Inez van Lamsweerde and Vinoodh Matadin. 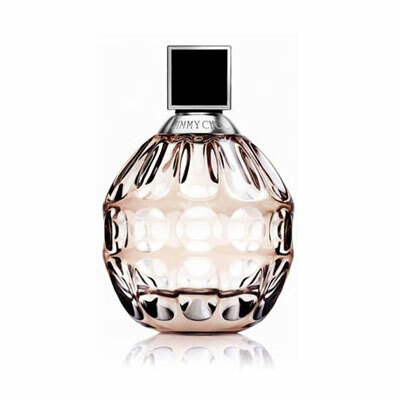 Jimmy Choo launched in February 2011 as 40 and 100 ml Eau de Parfum, body lotion and shower gel.